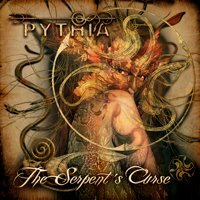 PYTHIA are happy to announce the album launch show for their long awaited second album, ‘The Serpent’s Curse’. The launch will take place at The Borderline, Orange Yard, off Manette Street, W1D 4AR on 29th February 2012. All advance ticket holders will be entitled upon entry to collect a signed copy of the ‘Betray My Heart’ limited edition red vinyl 7”, from ‘The Serpent’s Curse’, with a full album playback from 7.30pm. With the ‘Betray My Heart’ video tracking huge plays per day since launch and the album gaining stunning reviews from far and wide, those coming to the launch will be the first to witness the majority of the material live for the very first time... and possibly for the only time, in such an intimate live environment.